Over the weekend I had some Mother/Daughter time with Little Miss. Part of it was going to the craft store where I bought some items for making some necklaces. Most of the items I bought were clearance pieces that were Styled by Tori Spelling. I didn't know she made a jewelry supply line and I didn't really care it had her name on it. But it was clearance and good "bones" for jewelry so I grabbed several pieces. Here is how I made this one little piece into a full jewelry set. 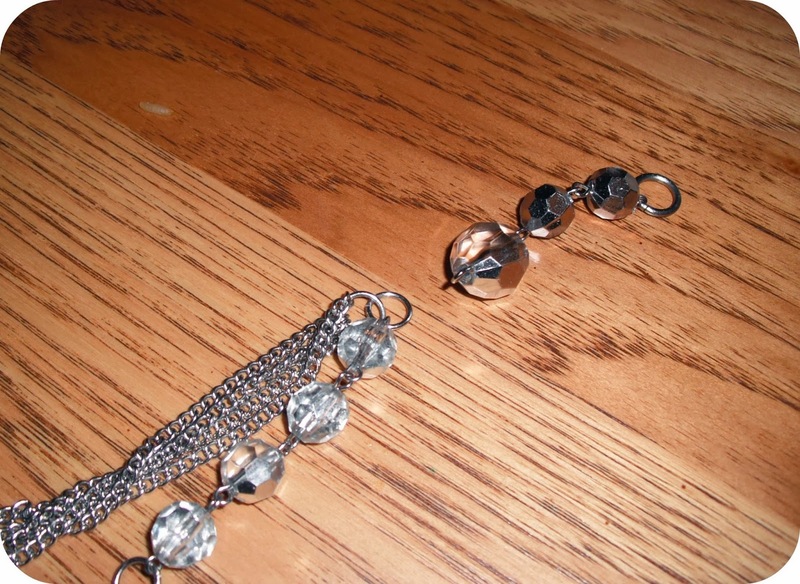 First I took some needle nosed pliers and removed the two extensions with the rows of crystal beads and closed the jump rings that the extensions came off. 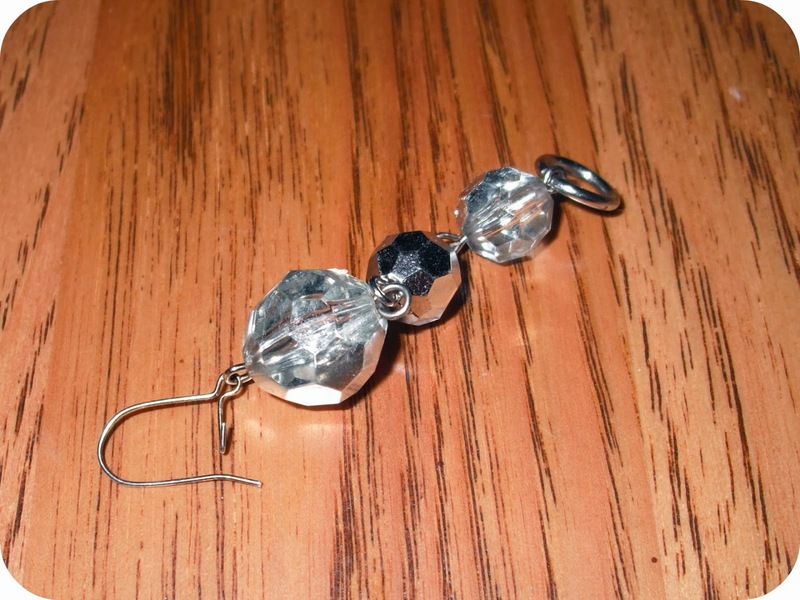 I slid the extension pieces onto some silver wire earring hooks I had (my ears are fussy with metal) and clamped them down lightly to prevent the chains from sliding around. 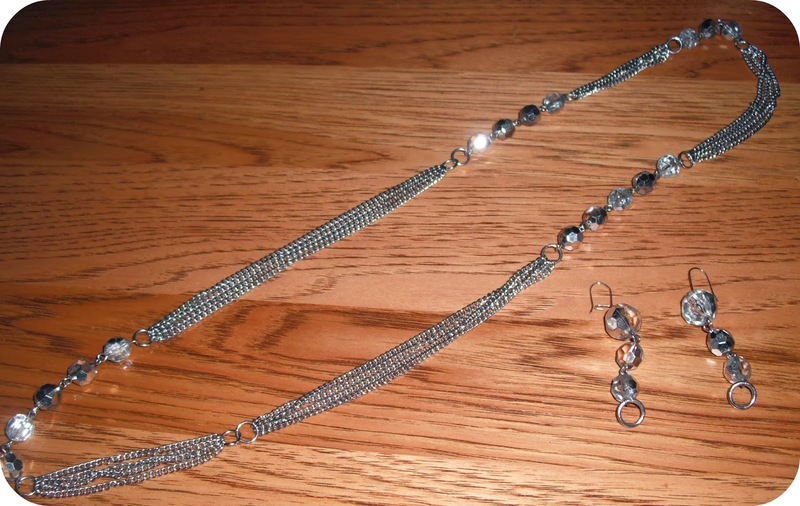 Then I separated the double chain and turned it into one long chain instead of two. And that is how I made my jewelry set I am wearing today at work for a whole $3 plus earring hooks. Ain't $3 fancy looking?